Artichokes are a variety of species of thistle which is cultivated as a food. The eatable portion of the plant has flower buds before the flowers grow fully. The artichoke flower head is a mix of different small budding flowers together with many bracts on the base. The structure changes to a barely eatable form once the buds bloom. Cardoon is another variety of species which is a perennial plant present in the Mediterranean region. Both the cultivated and wild varieties are present. The vegetable is about 1.4 to 2m tall and has deep, silver, green leaves with 50 to 82 cm in length. The flowers are formed in the form of large head in an edible bud of 8 to 15 cm diameter with many triangular scales. The individual florets are purple in color. The edible portion consists of fleshy lower portions of bracts and the base which is called “heart” and the mass of immature florets in the center is known as beard or choke. They aren’t edible in larger flowers. Artichokes contain bioactive agents known as luteolin and apigenin (1, 2). The total antioxidant capacity of artichokes is the highest known for vegetables (3). Cynarine is a chemical constituent present in Cynara. Most of the cynarine present in artichokes is present in the pulp of leaves but dried stems and leaves are also present in artichokes. It stops the taste receptors which makes water seem sweet. The cultivation of artichoke is mostly done in countries which border the Mediterranean basin. The main European producers include France, Spain and Italy. California contains almost 100% of the crop in the U.S. and about 80% of it is grown in Monterey Country; Castroville is the “Artichoke center of the World” and holds the annual Castroville Artichoke Festival. Artichokes have been recently grown in South Africa in a small town called Parys along the Vaal River (4). Artichokes can be made from seeds or vegetables such as root cuttings or micro propagation. Artichokes are perennial which means that they normally produce edible flowers during the second and subsequent seasons but certain varieties can be grown on annual basis which produce a limited variety at the end of the first season. Home gardeners can therefore,produce the crop without overwintering the plants with special protection. A recently produced cultivar is “Imperial Star” which produces good quality in first year. There is a newer cultivar known as “Northern Star” which can overwinter in northern climates and survive close to zero temperature. The commercial culture is limited only to warm areas in USA hardiness zone 7. It needs good soil, feeding and frost protection during the winter season. The rooted suckers can be planted every year, so the mature specimens can be disposed after a few years because an individual plant lives only a few years. The best season for harvesting of artichokes is spring but they are also harvested throughout the summer. Artichokes are cut from the plant when they are harvested to leave one or two inches of the stem. They have good qualities and remain quite fresh for a week or two under average conditions. Artichokes are also quite popular for their bright display and are grown in herbaceous borders for its purple flower heads. Green, big: ‘Vert De Laon’ (France), ‘Camus de Bretagne’, ‘Green Globe’ (USA, South Africa), ‘Castel’ (France). White in some places of the world. The history of the artichokes owes greatly to the Mediterranean regions of Southern Europe but there true origins are from North Africa where they are still grown in the wild state. The name of the food has its origin in the Arabic name ‘al-Khars hof’. A Greek myth states that the first artichoke was a woman beauty known as Cynara who resided in the island of Zinari. The God Zeus fell in love with her and decided to make her a goddess but Cynara missed her home and mother very much and decided to go back. This made Zeus angry who made her into the first artichoke. It is believed that the botanical name for the plant ‘Cynara’ is derived from the woman’s name. The French grew artichokes from the 16th to the end of the 20th century in Paris. Artichokes were quite costly at that time and only the wealthy aristocrats could afford them. This motivated the farmers in Italy, Spain and Greece to grow these vegetables in their own farms in large quantities. Now-a-days many varieties of the plant are more suitable for growing in the colder regions of Europe. Artichokes have a number of health benefits which include their benefit in protecting different types of cancers, lowering cholesterol, boosting the immune system and protecting against diseases like heart attack, atherosclerosis and diabetes. They also help in the detoxification of the body, improving the health of liver and treating different digestive issues. A study done by the USDA showed that artichokes have the highest number of antioxidants among all the vegetables and they were ranked at number 7 in antioxidant content. Antioxidants are quite beneficial for the body and they defend the immune system against the free radicals which are natural byproducts of cell metabolism that can cause a number of diseases including heart diseases and cancer. The antioxidant nature of artichokes is due to a number of sources like polyphenols which are high in number in artichokes. 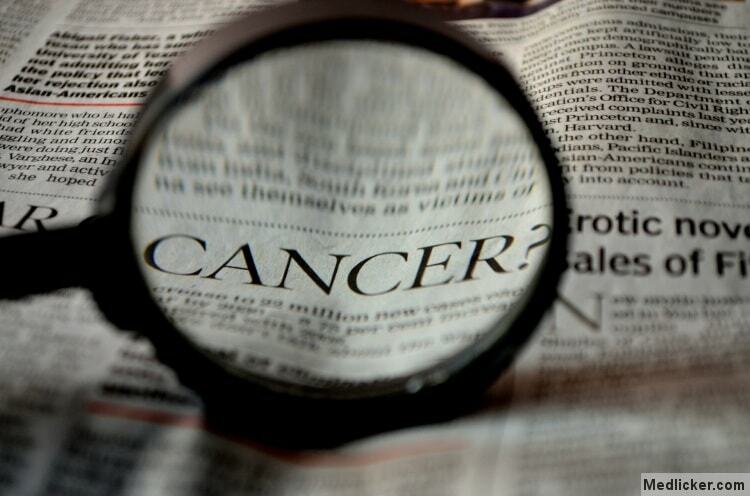 Research has proven that polyphenol helps to reduce cancer (6, 7). Chemopreventive properties are shown by polyphenols which means that they can stop, slow down or completely reverse the process of cancer. Their antioxidant properties also come from two other sources which are high levels of rutin and quercetin. These antioxidants have shown to reduce the effect of producing cancer. Vitamin C is also present in a good quantity in artichokes (5). It reduces the chances of health conditions like fibrosis (thickening of connective tissues due to injury) and mucositis (the inflammation of the mucous membrane) and also reduces the chances of breast cancer. Other studies have shown that artichokes lead to cell apoptosis (cell death) and cell proliferation when injected in cancerous masses and thus they can reduces the chances of leukemia, breast cancer and prostate cancer. Artichokes are a common ingredient in the supplements for liver detoxification (8). 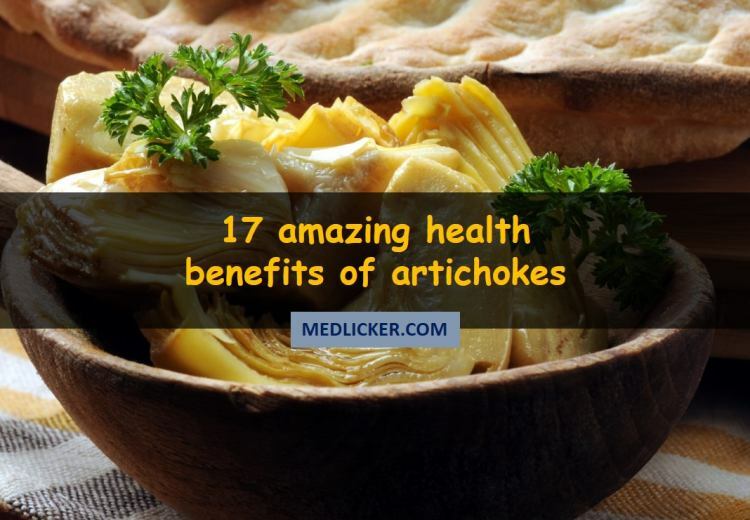 Health practitioners also recommend artichokes for people who need improvement in liver and kidney functioning. The potential of artichokes to detoxify liver is largely due to the presence of two compounds known as chlorogenic acid and cynarin. These compounds protect and heal the liver and help in eliminating the kidneys in eliminating toxins from the blood. Artichokes are also rich in potassium which is quite helpful in flushing out toxins and reducing bloating. Artichokes are a healthy addition to your diet. There are certain ingredients present in them which are known to reduce the levels of bad cholesterol and increase the level of good cholesterol or HDL cholesterol (9, 10). Cholesterol is a fat which forms in the arteries of the cardiovascular system, increases blood pressure and can lead to heart failure. Any method to reduce cholesterol is quite helpful, so you should include artichokes in your daily diet. Artichokes have high levels of potassium in them which is a beneficial mineral effecting different organs of the body. Potassium neutralizes the effect of sodium which increases blood pressure. Thus artichokes act as a vasodilator and are helpful for patients taking hypertension medications for preventing the effects of potassium deficiency (11). Diabetics should also eat artichokes to prevent the spikes in blood pressure levels. Reduction in blood pressure can lower the chances of coronary disease and heart attacks. Artichokes are a good source of dietary fiber which is beneficial in improving heart health and functioning of digestive system (12, 13). Fiber adds bulk to the food which helps in the normal functioning of bowel movements and decreases the symptoms of constipation. Fiber can also reduce the chances of different intestinal and stomach cancers as well as bloating and general discomfort in the stomach. Fiber can also absorb excess liquid from the body which is quite beneficial for patients suffering from diarrhea. Fiber also eliminates the excess LDL or bad cholesterol and cleans the arteries and reduces the chances of heart disease. An extra benefit of artichokes for digestion is its effect on the gall bladder. Artichokes comfort the inflamed gallbladder and can solve the problem of a blocked duct in the organ which allows its normal functioning. Thus artichokes stimulate the production and secretion of gastric juices which aids in smooth digestion. A hangover is the condition caused due to the excessive intake of alcohol. Artichokes are a great hangover cure because they help in the detoxification of liver and reduce any kind of blockage (14). They also reduce the toxin levels from the body by eliminating them from the body. Thus artichokes are a perfect hangover cure and you should chew a few artichokes every night before sleeping if you are a heavy drinker. Read this to find out about other methods of dealing with a hangover. Artichokes are one of the best sources of obtaining different minerals and vitamins like phosphorous, magnesium and manganese (15). These minerals are quite important for increasing bone health and density which reduces the chances of osteoarthritis and osteoporosis. Artichokes can also help pregnant women to have healthy and normal children. High levels of folic acid present in artichokes prevent the occurrence of neural birth defects in newborns (3). The neural tube closure needs a certain amount of folic acid. There are a number of reasons which make artichokes beneficial for brain health (16). For example, they act as a vasodilator which allows more oxygen to reach the brain and thus improves the cognitive functioning. Phosphorous is an important mineral found in brain cells which helps in their normal functioning. Phosphorous deficiencies can cause a serious decline in cognitive functioning. Therefore you should eat artichokes for mental well-being. The simple functions and processes occurring in the body often produce a compound known as free radicals as a by-product. These free radicals can produce stress to cells and lead to oxidative damage. There are different diets for eliminating the free radicals in the body but you should just eat artichokes. They contain healthy compounds which neutralize the free radicals before they can cause any serious damage to the body (17). Magnesium and manganese both play an important role in the metabolic process of the body and they are found in a good quantity in artichokes. Magnesium is an important part for the synthesis of proteins throughout the body and they regulate the intake of calcium in the body which strengthens the bones. Manganese is also quite beneficial as it helps in improving the metabolic rates of cholesterol, carbohydrates and amino acids (18). The foods that a person eats are the way the antioxidants get into the body of a person. The different antioxidants present in artichokes prevent a person from aging and losing appearance and texture (19). For example, collagen forms up to 70% of the skin cells and the antioxidant Vitamin C present in artichokes is the biggest contributor to healthy collagen development. The foods that a person eats are how the body receives different vitamins, antioxidants, and minerals which show up in the appearance because they are made up of the layers of the skin. The antioxidants present in artichokes improve the skin health and facilitate in the formation of newer cells in the skin. A strong immune system is quite important for the body. The immunity mostly depends upon the health of the gut wall and the amount of nutrients coming into the body and being properly absorbed. Artichokes have a positive effect on the digestive system and liver which makes your skin well equipped to heal itself from damage or when it comes in contact with pollutants and toxins (20, 21, 22, 23). Artichokes have a high content of fiber in them which is important for many different functions in the body (24, 25, 26). Fiber helps in running the digestive system smoothly and relieves conditions like diarrhea and constipation. It also plays an important role in detoxifying the body from extra cholesterol, sugar and toxins. It also helps in the proper functioning of liver and keeps a person full after eating. 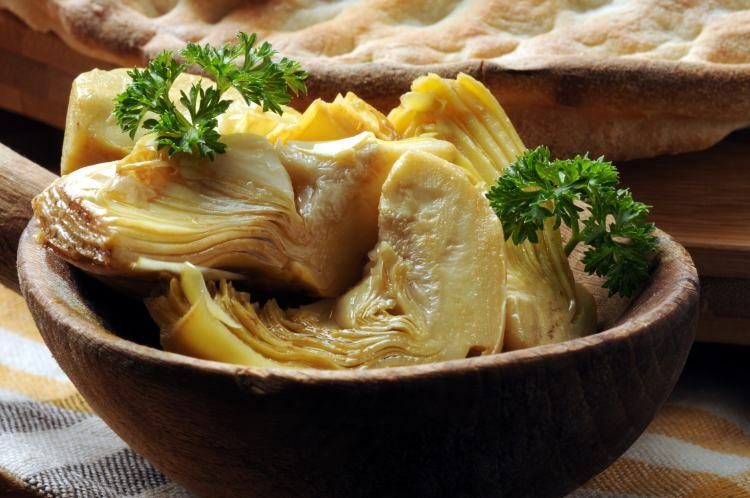 A cup serving of artichokes gives about 10% of the daily requirements for the important mineral iron (27). A great way to prevent anemia and negative symptoms related to iron deficiency is eating iron-rich foods. A good amount of iron also helps with different digestive disorders like Irritable Bowel Syndrome and Leaky Gut Syndrome. Bile is a fluid like substance which is produced and stored in the gall bladder. It helps in digesting fats and removing toxins from the body. People with liver disease should adopt caution while using this herb because the leaf extract can affect the liver by stimulating the flow of bile. Artichoke leaf extracts may also lead to gallbladder contractions. So people with gallstones or gallbladder disease should only take this substance under the strict medical supervision. 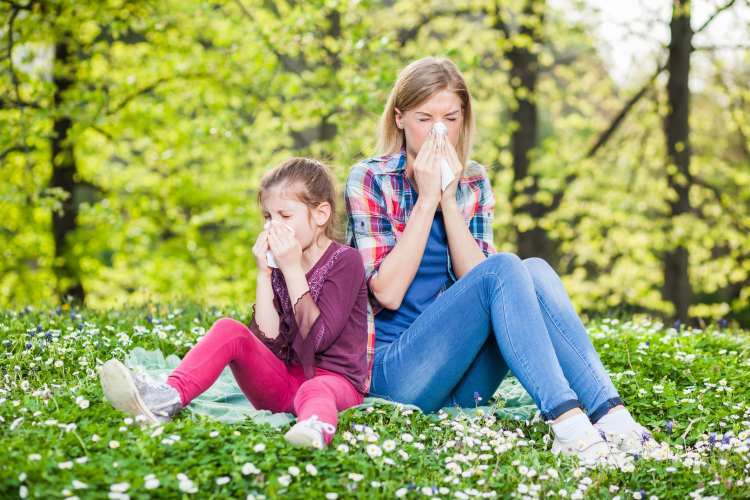 People allergic to arnica, daisies, chrysanthemums, ragweed or marigolds may also have allergy to artichoke leaf extract because these plants are related to each other. The major signs of an allergic reaction include swelling, itching, swallowing difficulty and breathing trouble. An allergic reaction to artichoke leaf extract requires immediate treatment. The University Of Maryland Medical Center states that it can lead to anaphylaxis which is a shock reaction that can be life-threatening. Artichokes can cause allergic reactions in people who are sensitive to the Asteraceae family. You should consult your healthcare provider if you develop allergy to artichokes. Artichoke leaf has been used in European medicine as a diuretic. People eat and cook the leaves as a vegetable for the stimulation of kidneys. A person who takes artichoke leaf should be aware that it can lead to frequent urination. A detailed guide to natural diuretics can be found here. Researchers are concerned that artichoke can worsen the bile duct obstruction by increasing the flow of bile. You shouldn’t eat artichokes if you have this health condition. It is best to consult a doctor in such a condition. Artichokes are generally considered safe for pregnant women. But still there isn’t enough information about whether artichokes are safe for breast feeding and pregnant women. You should keep the safe side and avoid their use. People taking artichokes have reported the symptoms of intestinal gas. Flatulence (gathering of gas in the alimentary canal) can be controlled easily but such people should restrict the intake artichokes. First you need to decide whether you need to cook only one Artichoke or many artichokes at the same time. Whatever the way, you need to cook and store the artichokes in a refrigerator before using them in a recipe or eating them. Next you need to take fresh artichokes and wash them with cold water. You can also use a kitchen brush and choke a quick brush down to remove the natural film an artichoke produces. This gives the choke a better taste when not removed. Now “top and tail” the artichoke with a knife. Next cut about one inch from the top of the artichoke with a sharp and pointed kitchen knife. Remove or trim the stem. You should remember that the artichoke is a continuation of the heart so don’t cut it off unless it is necessary. The artichokes are now ready to cook. You can cook the artichokes with ingredients like garlic, red pepper, lemon juice and finely chopped leaf parsley. Fresh artichokes need to be stored unwashed in a plastic bag in the refrigerator for over one week. It’s best to use fresh artichokes when you purchase them. The cooked leftovers can be refrigerated up to four days. Artichokes need to be cooked before freezing. The artichokes will suffer in texture and taste if you freeze them raw. You need to freeze the artichokes completely and wrap them tightly in a foil or air tight containers for 6 to 8 months at 0 degree F.
While artichokes have lots of benefits and promote digestive, brain and heart health they may also do harm if not taken with precautions. Their main adverse effects are gall bladder and liver problems, allergic reaction and diuretic properties. Before eating artichokes on a regular basis always ask your doctor for advice as substances contained in artichokes may also interact with some medication you are taking.